Flippy Knife is a physics-based realistic knife simulator game, courtesy of Oleg Beresnev. This fun game tests your knife flicking skills & timing as you hit various targets or as you simply work your way up a tower of walls. 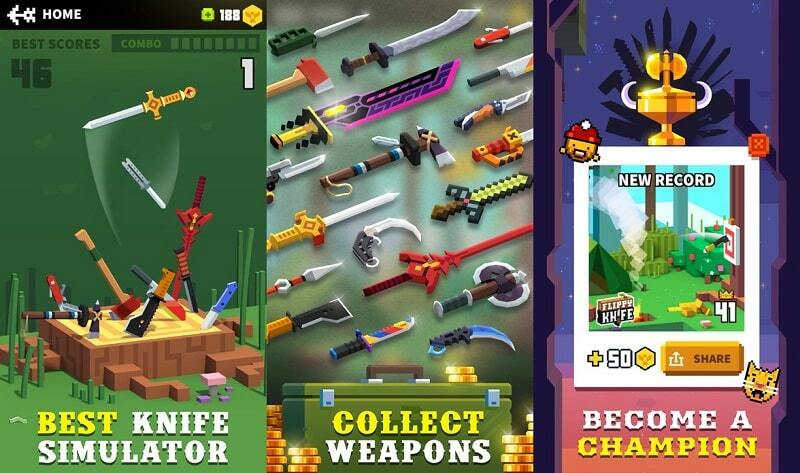 In this article, we have outlined the reasons why Flippy Knife is one of the top rated Android, iOS and now PC game available on the web for free download. Also, we provide you with a tutorial on how to install Flippy Knife for PC on your desktop or laptop. 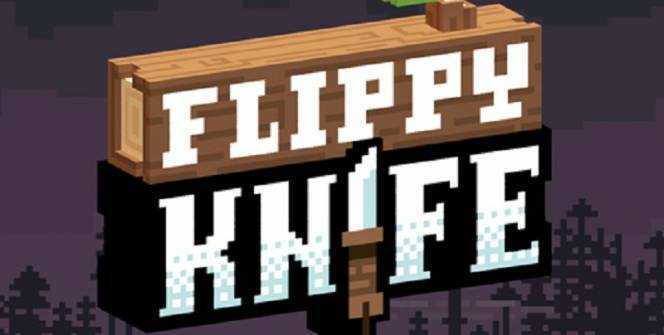 In Flippy Knife, players have access to the best knives from all over the world, and each one of them is determined to become a great master of knife flipping. 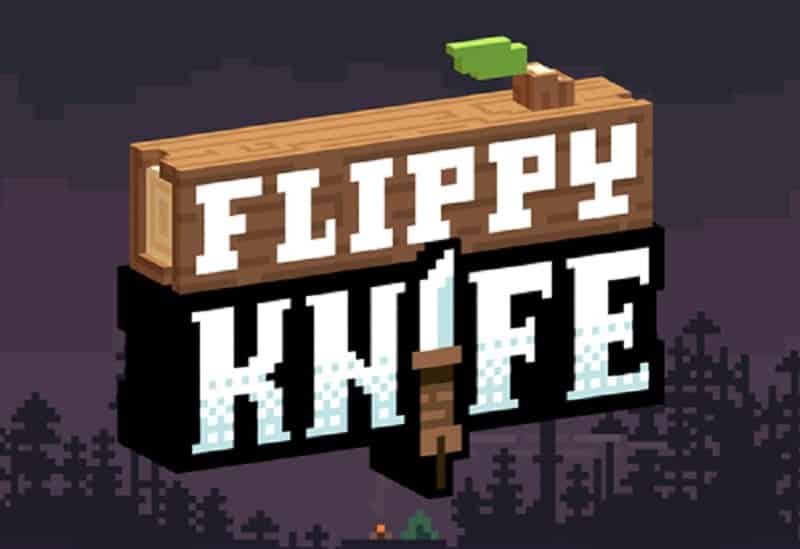 Once you download Flippy Knife for PC, you’ll not only flip the best knives in the forest, but also stick the knife back into the stump & collect combo, climb the trees & catch drones, jump on the shelves & collect treasure bags, hit the target to open the golden chest, etc. Flippy Knife features over 35 of the most popular blades worldwide that you need to collect. These include sabers, penknives, axes, swords, butcher’s knives, etc. Each weapon has a different weight and number of coins that it earns you per flip. You can unlock the bladed weapons using coins. Generally, new weapons earn you more coins, and you should focus on using them. Their multiplier makes a substantial difference in your aim to unlock even more new weapons faster. Target mode will help you learn how to aim properly. It’s also easy to unlock the treasure chest while playing in this mode, giving you an easy 45 coins. So it’s perfect for earning enough coins for unlocking new weapons. In this mode, you are expected to flip the knife in the air and earn additional coins for flips and successful landing. Do this multiple times, and you’ll be awarded combos. When starting out, we recommend that you focus on Target and Combo modes, which will give you the skills you need to use in trickier modes. Arcade mode features an endless room full of surfaces for your knife to land on. It’s one of the trickiest modes in Flippy Knife, since it requires one to adapt to different distances and heights. Just use a knife a knife that you are comfortable with, especially the one that you know how it reacts to certain scenarios, and you’ll eventually succeed. This is the hardest mode in Flippy Knife. You’ll be chasing a drone carrying a treasure chest. Despite the fact that there’s no time limit in Climb mode, throwing the knife back and forth between the walls is tricky and challenging. But you’ll enjoy playing as long as you are confident with your blade. Check the “Badges” section, which acts as a form of achievement system. Every time you unlock one Badge, you earn a bunch of coins. Most badges are quite easy to earn through regular play while others simply require you to do something like visiting the game’s official Facebook or Instagram pages. You just need one finger to have full control of the game. Also, a guiding line appears when you are aiming the knife, showing you where the knife will be going. This can be helpful in Target mode as well as in other modes too, such as in Combo mode where you can use it to learn how far to let the knife go up in the air. Without a doubt, Flippy Knife is the best knife simulator game for Android, iOS and PC gamers. It’s programmed in such a way that it can be downloaded and played by anyone, slowly mastering more about the techniques as you progress. There are different locations for flipping including tree tops, forest hut, camping, stump on the meadow, etc, all which looks amazing on large screens. Install Flippy Knife for PC on your Mac/ Windows desktop or laptop to be a champion. Sometimes when playing Flippy Knife, bluestacks ask you fee to pay but gives you option to download some apps. Every time it asks you just select “Install apps” and continue using it free. I hope you enjoyed this article, please rate and share. If you have problems running Flippy Knife on your desktop or any other issues, leave a comment below.